EGGS is an independent design and innovation consultancy. We are international and multidisciplinary. Our award-winning team specialise in service design, product design, digital design, branding and technology. We create innovations, applications, products and services that provide added value, and establish organisational efficiency. We’ll help you to work smarter, stay ahead of the curve, and be more future-proof. By collaborating with us, you’ll adopt a whole new user-centric mindset. We tailor each project to specifically suit your needs and objectives and always focus on end users. This ensures we deliver the best solutions for people, business and society. 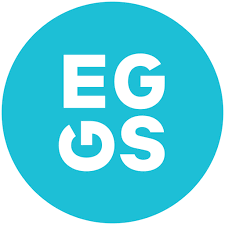 EGGS is 80 diverse personalities comprising 18 nationalities and operates out of six offices based in Norway, Denmark and Brazil. We are a bustling nest of creativity, fired-up on all aspects of design and innovation.